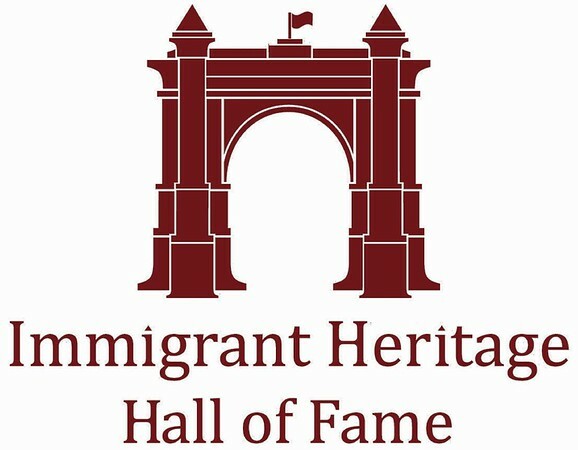 NEW BRITAIN - The sixth annual Immigrant Heritage Hall of Fame’s induction ceremony and gala is just two weeks away, and tickets are still available. The event is scheduled for Thursday, Sept. 27, at the Aqua Turf Club in Southington. This year’s inductees are of Dominican, Pakistani, Korean and Polish heritage. According to the IHHF, the Class of 2018 includes individuals and a family who have been pioneers and leaders in education, business, diplomacy and medicine. “It’s a very distinguished group,” said former Mayor Lucian Pawlak, co-chairman of the IHHF’s Planning Committee. nScholar, author and Dominican Republic native Daisy Cocco De Filippis, president of Naugatuck Valley Community College and a pioneer in Dominican women’s studies. nPakistan native Adnan Durrani, chief executive officer of American Halal/Saffron Road Foods in Stamford and recognized as one of the world’s leading entrepreneurs. nThe Koh family of New Haven, noted for its contributions in the fields of international relations, health and human rights. nThe late Dr. Stanislaw A. Milewski, former chief of ophthalmology at Manchester Memorial Hospital, who overcame oppression in Poland during World War II to become a leading ophthalmologist and mentor. Pawlak spoke highly of this year’s inductees. As an immigrant himself - 100 percent Polish, born in Belgium - Pawlak said he admired the many ways this year’s honorees have helped their new home. The event is open to the public. In addition to honoring each inductee, the evening will be highlighted by a keynote address by Professor Harold Hongju Koh, who will share his family’s story. The evening will also include an artistic program reflecting the cultures of those being honored. Pawlak called the event “unique” and said the ceremony is very different from other celebrations of its kind. “It’s an event that really brings people together,” Pawlak said. Including this year’s honorees, the Immigrant Heritage Hall of Fame has honored 27 people since its inception in 2013. Last year, the inductees were Bessy Reyna, Mohammad Nawaz Wahla, Franciszek Herzog, Rabbi Henry Okolica, Angelo Tomasso Sr. and Angelo Tomasso Jr.
Tickets are $95 per person, with discounts available for tables of 10. For more information on the event, to buy tickets or to read detailed inductee profiles, visit www.immigrantheritage.org or call Andre Blaszczynski at 860-829-1215 or Pawlak at 860-670-4955. Posted in New Britain Herald, New Britain on Thursday, 13 September 2018 21:21. Updated: Thursday, 13 September 2018 21:24.